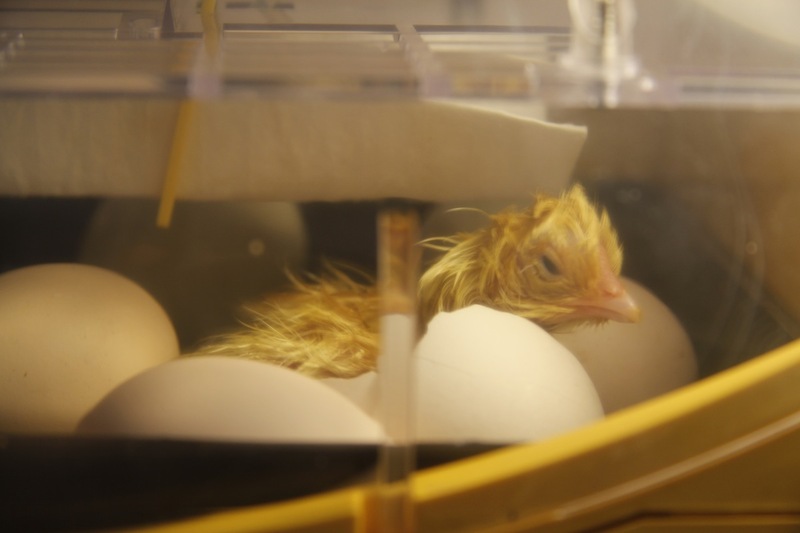 I am sitting here trying to write a paper on the Renaissance and the Ottoman Empire, the deadline for which is fast approaching, but I am being very distracted by hatching chicks. Yes, the first little chick is out. This was it earlier this morning. When I got back from cleaning my teeth it was out of the shell and looking faintly shocked at the newness of being born. Over the past few hours it has started to dry off and fluff up. One other egg so far has pipped and the chick is peeping encouragement to its brothers and sisters in between taking little naps. Ohhh, so sweet. 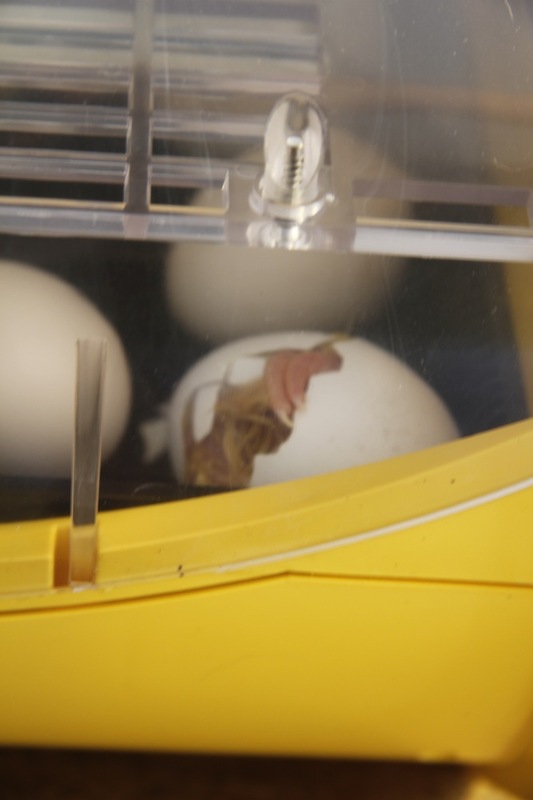 Congratulations on this success with hatching! The chick is beautiful. Can imagine this new life emerging being so much more interesting at the moment than the Renaissance and the Ottoman Empire. Good luck being the writer with a deadline and new mama all at once. 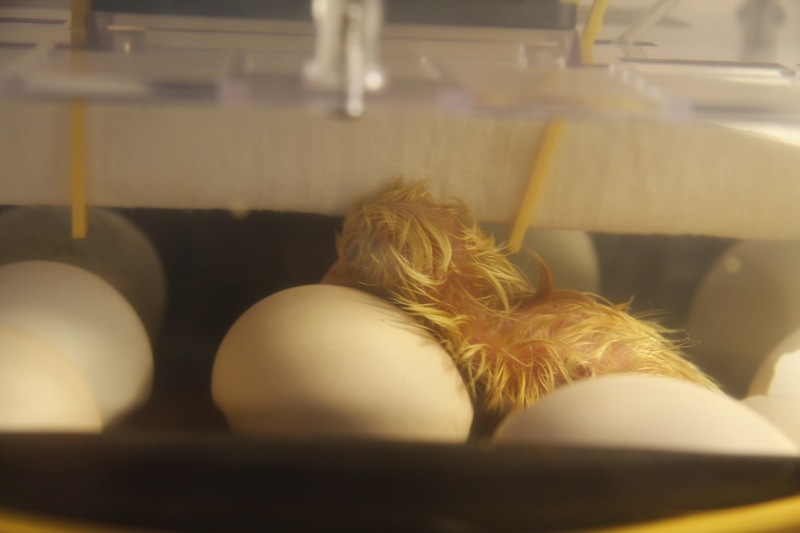 Oh I love watching chicks (and ducklings) hatch! This year we’ve gone down the natural route now that we have Silkies, but I have missed the incubator. 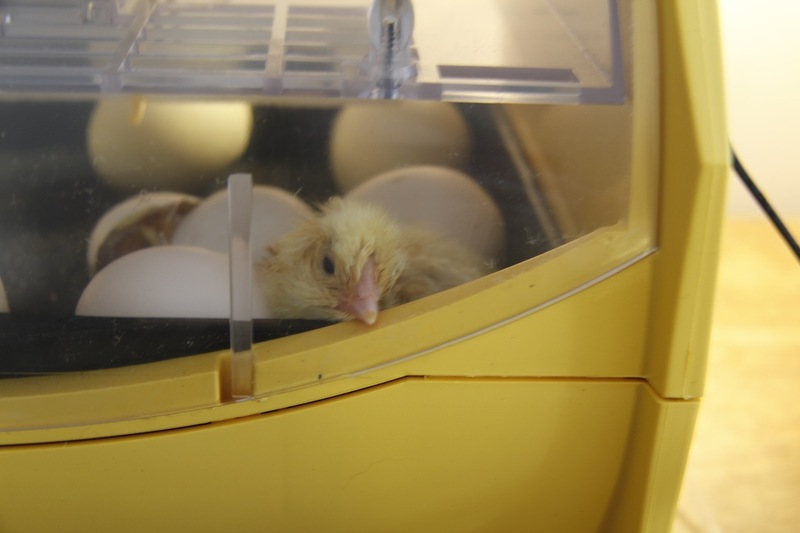 This is the first successful hatch I have had with an incubator – 4 chicks so far, possibly another one. I think the others were infertile or just didn’t develop properly. 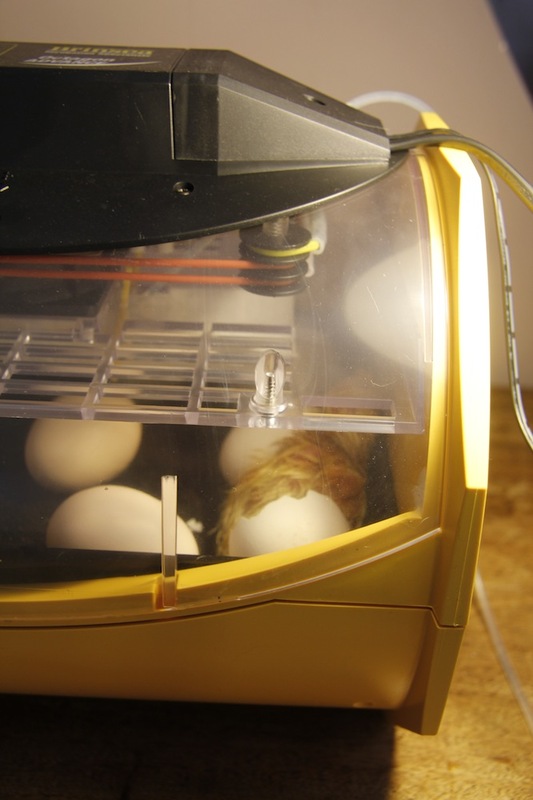 The new incubator is much more reliable than the old second hand one, but overall I prefer the natural route – our other hatches have been with the Silkies or the turkeys. However, it is getting a bit late in the year for them to sit. I have a clutch of turkey eggs outside and if the turkey doesn’t start sitting soon, I might pop them in the incubator and see what happens. It is that or eat them! Get that article done and THEN watch the chicks….or vise versa….good luck on both projects.